With residents here getting rid of their old laptops and cellphones without a second thought, Singapore is churning out 60 million kg of electronic waste (e-waste) every year – more than the combined weight of 220 Airbus A-380 aircraft. 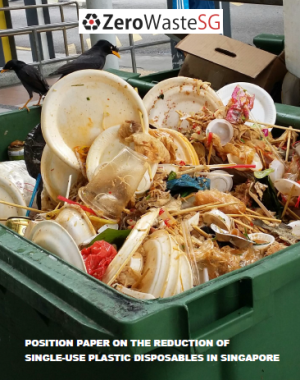 Only a fraction of that is recycled or disposed of properly. So far, the most extensive community e-waste recycling programme here has managed to collect only 22,000kg of it from 214 recycling bins islandwide this year. That is less than the weight of two buses. 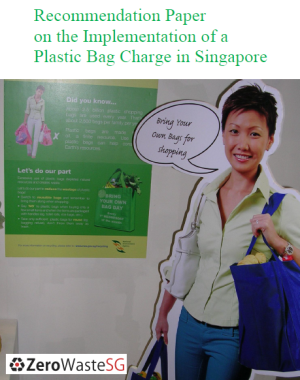 The project is managed by StarHub, DHL Express and home- grown recycling firm TES-AMM. By Channel NewsAsia, 5 Jul 2013. Residents in the South East district of Singapore will now have a convenient channel to recycle their electronic waste. Electronic waste includes unwanted electrical and electronic devices like computers and ovens. Residents can drop off these devices at 10 designated Resident Committee (RC) centres in Marine Parade and Mountbatten. 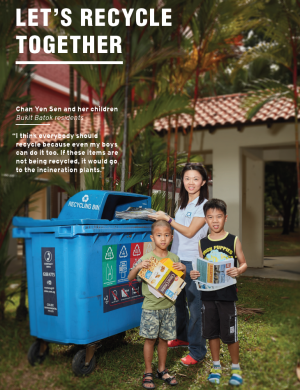 Residents can also deposit other recyclable waste like paper, aluminium cans and plastic bottles at the RC centres. The monthly collection drives will be held every first Sunday of the month, starting from July 14. 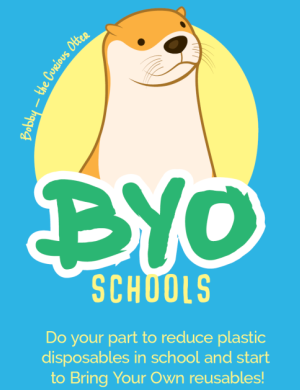 It is part of a six-month trial initiated by Panasonic Asia Pacific, in partnership with the South East Community Development Council, National Environment Agency, electrical and electronic retailer BEST Denki, e-waste recycler Cimelia and public waste collector SembWaste. For nearly a year, a disused 30-inch cathode-ray-tube (CRT) TV sat in the living room of Mrs Adeline Koh’s four-room flat. No karung guni or rag-and-bone man wanted the old set because it was too bulky and heavy to cart away. Two weeks ago, the 38-year-old finally handed it over to local rag-and-bone company Recycling Point Dot Com, which will donate or scrap it. As consumers like her switch more frequently to sleeker appliances and gadgets, lured by firms constantly upgrading their products, the problem of electronic waste, or e-waste, is mounting. 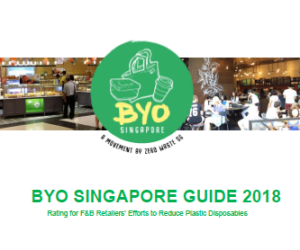 The National Environment Agency (NEA) does not keep a record of the amount of e-waste generated in Singapore, but figures showing the amount of electronic gadgets consumers here buy each year should prove cause for worry. E-waste, if not properly disposed of, can pose hazards to the environment and human health. Last year, more than 443,000 TV sets were bought here – an 80 per cent jump from the number in 2007, according to figures this month by market research firm GfK. The demand for laptop and desktop computers is likewise booming – sales of desktops in the second quarter of last year were up 39 per cent year-on-year. On average, Singapore residents replace their cellphones every 12 to 16 months, said GfK. Green Business Singapore went for a site visit recently to check out how Nokia and its e-waste vendor, TES-AMM (Singapore) Pte Ltd, collects and recycles old mobile phones. Nokia has the largest voluntary mobile phone recycling scheme worldwide, with takeback and collection facilities in over 5,000 Nokia Care Centres across 85 countries. In Singapore, Nokia currently has collection points in all Nokia Care Centres at Wheelock Place, Century Square, Parkway Parade, Causeway Point and Suntec City. 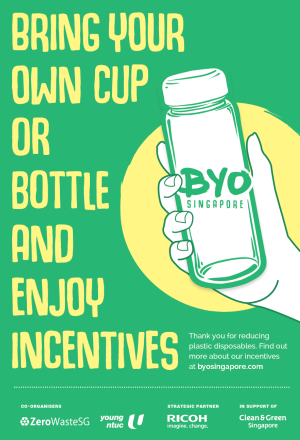 Take back facilities are also available in NUS, NTU, SMU, Nanyang Polytechnic, Temasek Polytechnic, St Margaret Secondary, St Hilda Primary and Secondary, and Saint Andrew JC. In July 2008, Nokia launched the deployment of the Nokia Recycling Kiosks (NRK), which are automated recycling kiosks, in Malaysia and Singapore. Nokia is also running the ‘Recycle A Phone & Adopt A Tree’ program in Indonesia, Singapore and Malaysia. With every phone sent for recycling, customers will receive a tree in their name planted under the NEWTrees initiative. This is a collaboration between Nokia, WWF Indonesia and Equinox Publishing, and Nokia has committed funds towards the planting of 100,000 trees in Indonesia. Plastic: Plastic is largely used on the covers and external parts of a mobile device. They are turned into plastic pallets to be used in warehousing. Stainless Steel: This is used on external detailing phone covers and some internal components. It can be recycled and used again in all sorts of products from mobile devices, to kitchen kettles, ovens and in bicycle frames. Copper: Copper is used in a mobile phone’s circuitry and printed wiring boards. It can be recycled into copper pipes or to make musical instruments. Gold: Small amounts of gold are used in a mobile phone to coat connectors and electrical surfaces. It can be recycled and used again in other mobile and electronic devices, dental fillings or to make jewellery. Platinum: This is used in the electrical components of a mobile phones. It can be reclaimed and used in catalytic convertors for passenger cars, for equipment, dental filling or in jewellery. Cobalt and lithium salt: These rare earth metals are recovered from recycled batteries and are re-made into lithium ion batteries.